This year’s round of the HORMEL® Chili's America's Best Firehouse Chili Contest is all said and done, and we have a new firehouse chili king. Eddy Dumire, a firefighter from Woodbridge, Virginia, has taken this year’s chili crown with his “Smoke Showin’” recipe. His firehouse, Station 13 of the Dale City Volunteer Fire Department, took home the grand prize of $10,000 and a year’s supply of HORMEL®️ chili for their firehouse. The Makers of HORMEL® Chili also honored the National Fallen Firefighter Foundation (NFFF) with a $20,000 donation. 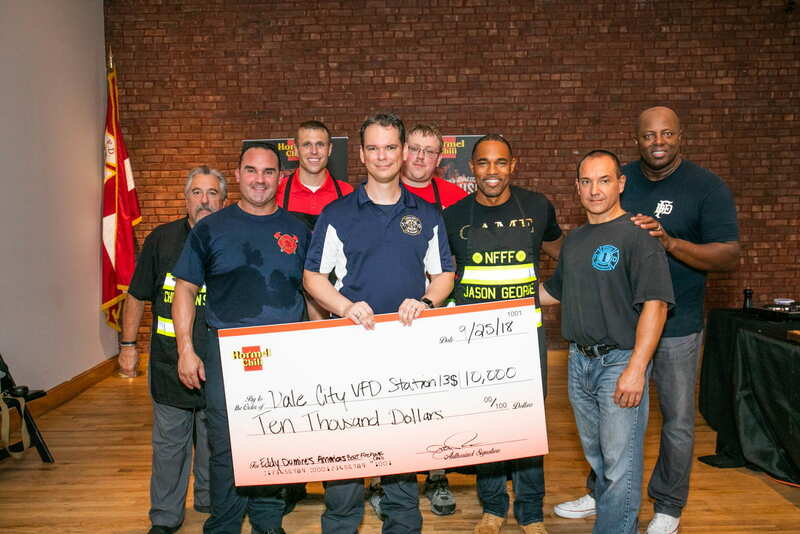 Dumire’s firehouse plans to use the winnings to fund the Dale City Volunteer Fire Department program , which provides visits from Santa for terminally ill children in their local community. Dumire’s recipe is named after a firefighter term that means smoke can be seen upon arrival of a site. 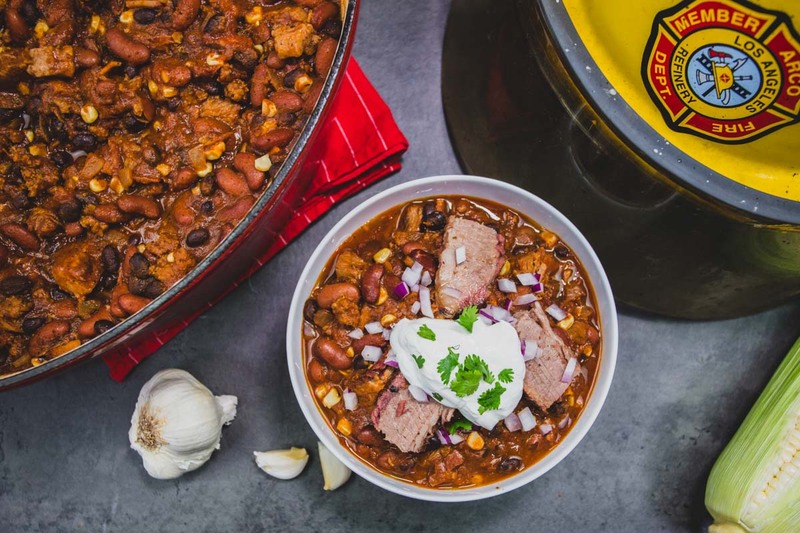 For his chili, it means an innovative combination of smoky-flavored ingredients, including corn and brisket, that add a unique depth to the stew. 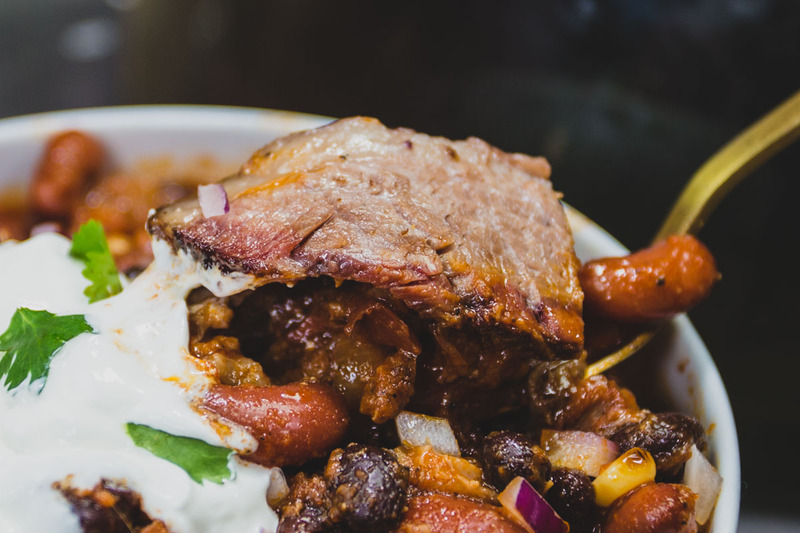 Lovers of both barbecue and chili will be huge fans of this recipe. If you want to make America’s Best Firehouse Chili of 2018 for yourself, peep the ingredients and instructions below. Smoke brisket and corn the night before. Fry bacon in a Dutch oven or large saucepan until crispy, then remove, leaving the fat inside. Sauté garlic and onion in bacon fat, add ground beef and brown. Drain fat, leaving just a few tablespoons. Add tomato sauce beans, brisket and bacon. Add spices, tomato puree, chipotle pepper puree, corn (cut from cob), and simmer for at least one hour. Garnish with chopped red onion, cilantro and a dollop of sour cream.